I’m a regular guy who goes backpacking. I don’t hold any records for speed, distance, crazy high altitude mountaineering maneuvers, or Clif bars consumed in a year. I do, however, have a talent for critical thinking and a passion for finding a better way. I’ve spent countless hours over the last few years researching, testing, and practicing how to hike and pack more efficiently. My goal here is simply to share what I’ve learned. I started hiking over 20 years ago when I joined the Boy Scouts as a youth. I went to Philmont twice in the mid-to-late 90’s and worked on staff from 2000-20004. From 2003-2005 I also found time to hike in Colorado, Washington, and Alaska, in addition to the mid-Atlantic region where I grew up. While these trips added to my admittedly basic experience level and gave me a better perspective on things like weather and regional environmental conditions, I wasn’t quite to a point where I knew what to do with that information. At best, it taught me how to mentally cope with less-than-ideal conditions, which is an invaluable lesson in itself. I reached a turning point in 2012 when I hiked across Zion National Park. It was an awesome trip but certain things became apparent. My pack was too heavy. My clothing system wasn’t great for the all-day slog through a rain-drenched Hop Valley and Wildcat Canyon. There were clearly some things I could have done differently. Little did I know that once I started asking the right questions, not only would it lead to an entirely new approach to gear, it would set the stage for more ambitious trips as well. The philosophy I’ve come to realize and adopt is the concept of “sustainable hiking”. This idea isn’t directly related to sustainability in the sense of environmental impact or renewable resources, although these are certainly important for other reasons. What I mean by “sustainable hiking” is that at the end of a trip, do I feel like I could continue with relative ease or am I physically and/or mentally exhausted? If the latter, it’s time to reevaluate my approach to figure out what I could have done differently. I think the key to any successful long distance hike (whether it’s a week, a month, or 6 months) is to find a way to do it while keeping yourself within a relatively comfortable buffer from exhaustion. The main difference between the hikes I did 10 years ago and now isn’t necessarily how hard they are over the course of a week, it’s that now my definition of a successful trip is how I feel after that first week. If I’m only hiking for a week, it makes for a more enjoyable week. If I’m hiking for longer than a week, it becomes necessary to ensure a successful trip. While my original intention was to simply have a collection of gear reviews, I’ve found that writing static reviews for standalone pieces of gear doesn’t interest me as much as discussing how these items work as part of an integrated system and how that system evolves over time. It’s more important to think about what you need from an agnostic vs. product-specific point of view, because once you’ve determined your requirements it’s fairly easy to find products that meet those requirements. If you set out to buy gear before you know what you want or need, you’ll probably wind up with something that, at best, only partially meets those needs. It’s also worth understanding that this isn’t just about gear, this is about hiking. Gear is just a toolset that allows me to accomplish my goals in the most efficient way possible. It’s an important distinction because I often feel like this message gets lost in the scramble for the next best thing. Even then, what works for me won’t necessarily work for you. It’s not about buying something that a bunch of people endorse; it’s about learning to evaluate what works for you and what doesn’t. 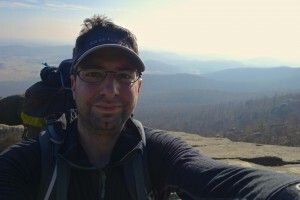 My goal is to expand upon that idea and develop a site that’s useful for beginners and advanced hikers alike.